Here’s a selection of Halloween book recommendations from the Creative Authors team! We’d love you to share yours with us @creativeauthors. The accident season comes around once a year, signified by the deaths of family members and a string of both minor and major injuries. During this time, the family – Cara, Alice, Sam, and Melanie – wraps up in extra layers, take precautions, and the house is transformed into a knock, scrape, and accident-free zone. Mostly. But through kept secrets, unexplained injuries, and the mystery surrounding one of Cara’s former close friends, the siblings are determined to break away from their curse and find out what’s really happening to them. 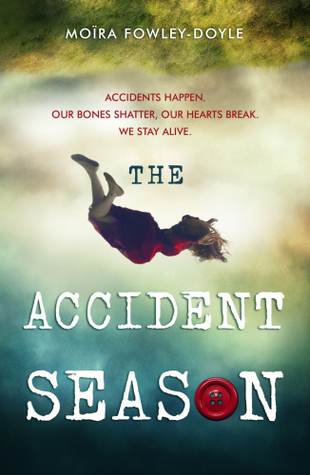 With a secrets booth, tarot cards, a haunted house, a whispering river, dream catchers in the trees, and dolls on the forest floor, The Accident Season is bursting with personality and atmosphere. It’s a strange and beautiful book and I was under its spell from the start. The perfect pacing pulled me along dreamily through the story, the romance and friendships, the masquerade and ghost tales. Though incredibly unique, it will appeal to fans of The Raven Boys and Between the Devil and the Deep Blue Sea – dark, magical, and utterly mesmerising. Perfectly ghoulish picture book for ghost lovers (like myself!). Our hero tackles this haunted house in a very unusual and fun way with her adorable feline sidekick. I love the characters and how inventive the story is but what I love the most is the art style. 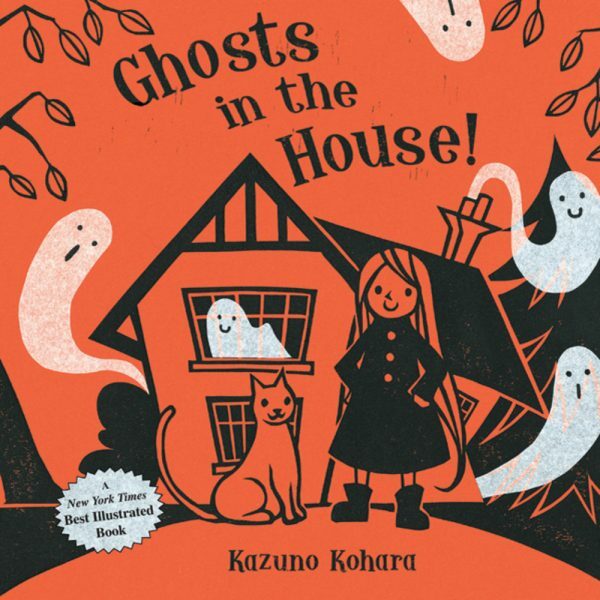 It has a beautifully simple colour palette with striking illustrations and the white of the ghosts almost looks like tissue paper, I wonder how they did that! 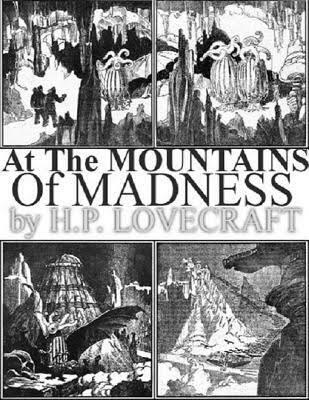 Increasingly influential – this is one of the longer stories that he wrote and I love the way the dread builds to a terrifying climax. Halloween is my favorite time of year! It’s a perfect excuse to get dressed up & have some fun. 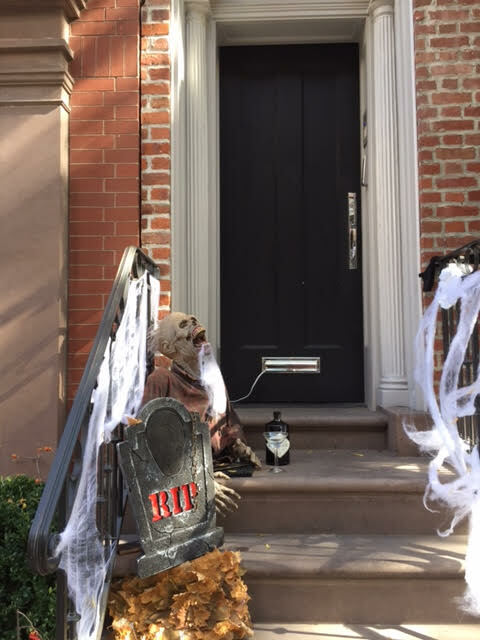 In the West Village of Manhattan everyone goes all out dressing the stoops of their brownstones with spooky decorations. 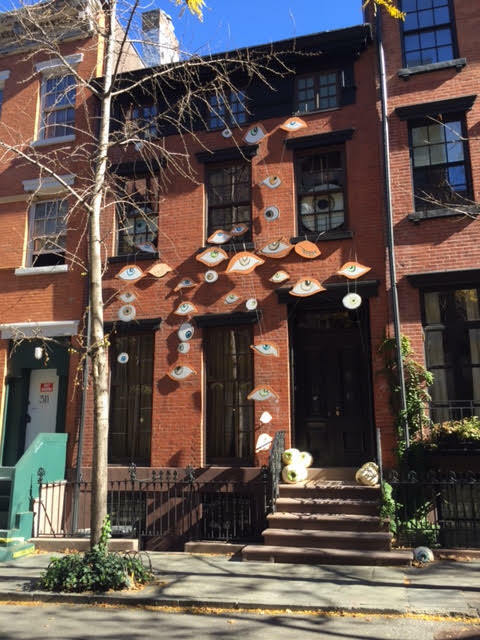 And of course there’s the famous Greenwich Village Halloween parade along with the Tompkins Square Park Halloween Dog parade. It’s well worth visiting NYC this time of year. 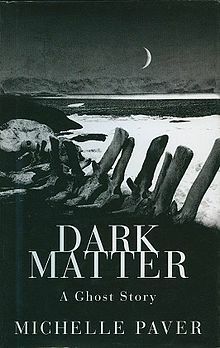 Onto my spooky read recommendation – it has to be ‘Dark Matter’ by Michelle Paver. It’s a short novel, but the plot is perfectly mapped. The book is a spooky tale of an Arctic exploration gone horribly wrong. I’ve bought this book for many people & always tell them the hairs on the back of their neck will stand up.